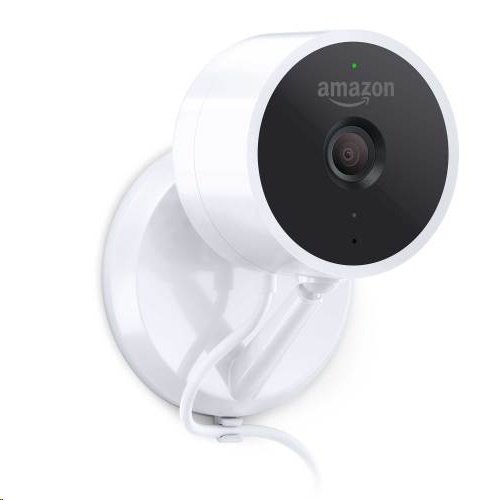 Introducing Amazon Cloud Cam, an intelligent and affordable indoor security camera that works with Alexa. Stay connected to your home, family, and pets in 1080p Full HD and watch the last 24 hours of motion-activated clips for free. Get notified when Cloud Cam sees activity and use the Cloud Cam App to check in anytime with live view. Cloud Cam’s night vision lets you see clearly in the dark. Use two-way audio in the Cloud Cam App to check in with the family or tell your dog to stop barking. Cloud Cam works with Alexa. Just ask Alexa to show your live feed on your Echo Show, Echo Spot, Amazon Fire TV, or Fire Tablet. 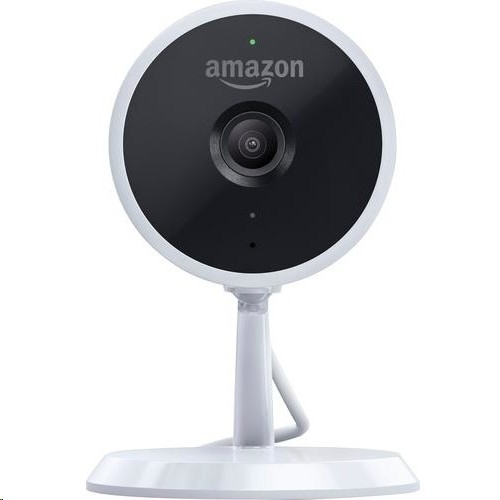 Get a 30-day free trial of any Cloud Cam subscription for additional days of cloud storage and advanced features like person detection, where you can be notified when Cloud Cam sees a person vs. general motion, like a pet running across the room; and Zones--areas in Cloud Cam’s view you wish to ignore like a TV or fish tank. Plus, you can download and share clips with a subscription. Cloud Cam’s intelligence lives in the cloud so it is always getting smarter with more advanced alerts, detection, and features. Stay connected 24/7. Catch activities as they happen in 1080p Full HD. Watch, download, and share the last 24 hours of motion alert video clips for free. Notifications. Get notified when Cloud Cam sees activity and use the Cloud Cam App to check in anytime with live view. Watch motion alert clips in the app or on the web with your Amazon Drive account. See clearly in the dark. Night vision lets you detect what's happening around the clock. Two-way audio. Check in with the family or tell your dog to stop barking. 30-day free trial of any Cloud Cam subscription. Get intelligent alerts and advanced features like person detection, Zones, and see up to 30 days of video history. Works with Alexa. Just ask Alexa to show your live feed on your Amazon Fire TV, Fire tablet, Echo Show, or Echo Spot. Cloud Cam's intelligence lives in the cloud so it is always getting smarter with more advanced alerts, detection, and features.